Whilst whipping up an assortment of leftovers for dinner last night it got me thinking. There was a time when an ethos of make do and mend wasn’t just a modern day sentiment, it was a way of life. In my beloved Grandma’s era when women found a hole in their clothes they got out the needle and thread and mended it. If they only had vegetables and stale bread for tea they made do. There was no fast fashion or quick fix and everyone got along fine, in fact they got creative – fashioning and reinventing their wardrobe. They worked with what they had available and made everything they owned go the distance, clothing back then was made with so much more care, time and honor. 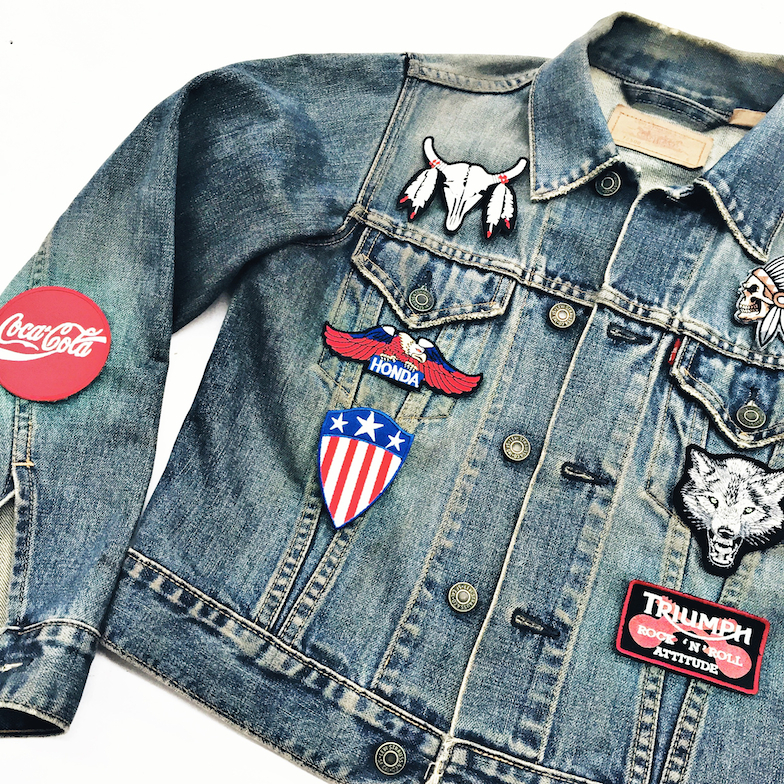 It was a crafty way of living that continued into the 70’s when patch working your denim became a talisman for the peace love and hippy culture and then of course there was the devine details of bespoke tailoring of that decade too. I am fortunate enough to still have some of my Dad’s originals. Amazing one of a kind jackets created by the likes of Tommy Nutter on Kings Road and let me tell you not only are they still going strong, I get stopped whenever they are on my back. Thankfully as we slowly begin to tire of being a high street sheep, a resurgence of individuality, personalisation and embellishment is being reborn. The luxury houses and current runway shows seem to evoke this sentiment as well, with a recent British Vogue coining the phrase haute heirloom – turning heads to handed down, made with love and monogrammed as the must have items. A mass produced planet is searching for a story with their style. It’s a funny thing though, those rips and tears of yesteryear are now so coveted that they are fabricated and can actually be very expensive, especially if you are paying for the honor of the house of Saint Laurent to distress your denim or Gucci to glam up your coat. So I say do it yourself and save the cash and the eco system. Patchwork denim, customised clutches, statement necklaces and chokers. 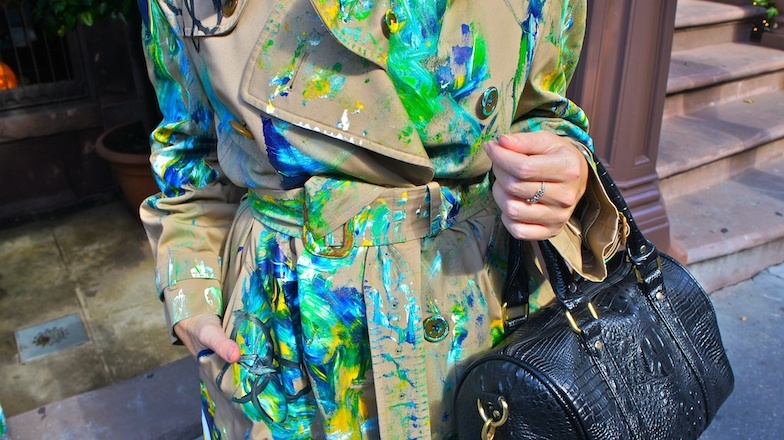 Whilst living in NYC my artist friend Roxanne and I even recreated a 10k hand painted Burberry trench by thrifting an Aquascutum one for $20 and getting our Picasso on. It translates to a sense of regret concerning waste. MOTTAINAI is an ancient Buddhist word which has ties with the Shinto belief that objects have souls. Having had my Dads jackets for over 20 years now I truly see the wisdom in mottanai. They had such a life with him and now they continue their journey with me. Their threads are weaved into my heart and I love that I can carry my story with me, I could simply never part with them. So I say dust of your sewing kit and get connected to your clothes. Why not make it one that grandma would be proud of.